This time, you′ ve done a lot. So much to change or make anew. Good job. And, thinking of how much you′ ve done, you must know an even greater thing: your site is so much closer to getting a top position! Plus you′ ve learnt more about keywords, ALT and title tags, Search Engine crawlers, Meta descriptions and what not! 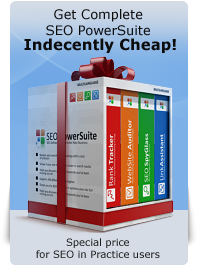 By the way, do you remember, you′ re also on your way to get an SEO certificate? So, while your knowledge is fresh, go ahead and complete the quiz. How can I delete keywords in website auditor? Learned a lot from this chapter. Up to the next! I just have one area of confusion in my mind at the moment. How can you have 5 landing pages on your website when you only have one index.html page? Where is my thinking screwed up please? My hotel site has nine pages for Bar/Rooms/Contact/Reservations/videos/Newsfeed/etc. are these also landing pages?? Please note that a landing page is not a specific unique page of your website. Actually, it is any page that you most want visitors to come to from search engines. Ideally this page/these pages should contain a call to action for a visitor and finally lead him (a visitor) to the convention page, the one you want the visitor of your website to finally achieve, say a purchase page. So, as you see, you can create as many landing pages as you need. is there any problem ?? very informative and awesome page Danno. I found this chapter very useful for SEO. It was bit technological but interesting. What a <strong>great chapter</strong> Danno, now it's quiz time ;-] yay !! !